Billing for winery work will be charged to the service order of the batch or batches involved in the operation. 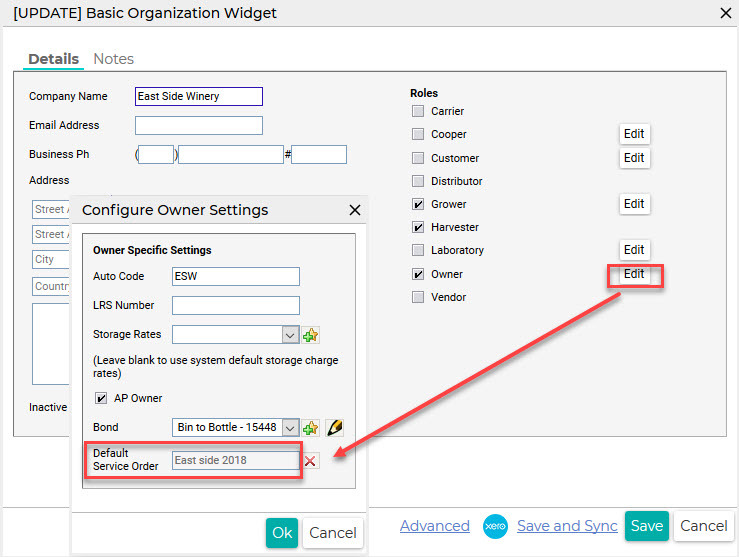 If the batch service order is not set, then it will be based on the default service order of the owner of the wine. 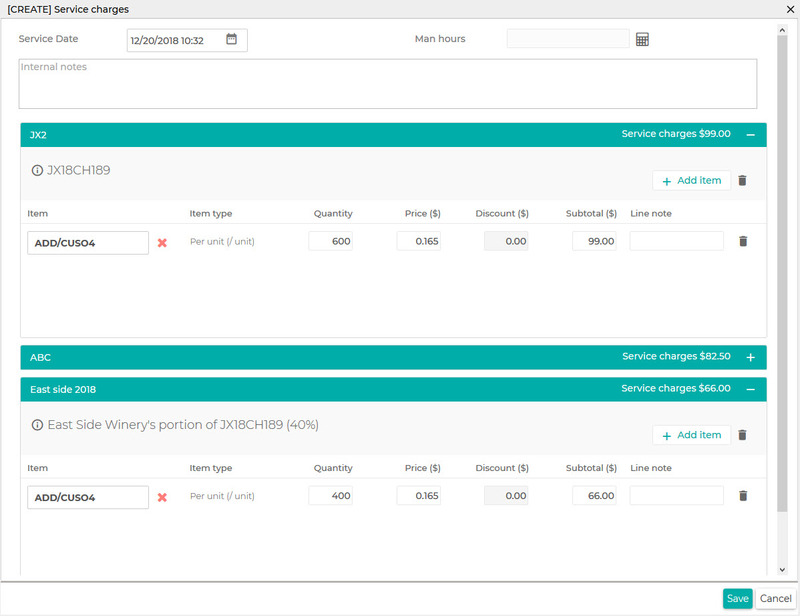 If the wine has multiple product owners, the billing charges will be split among the owners according to the percentage they own. Make sure you have a default service order set for all the owners of the wine. 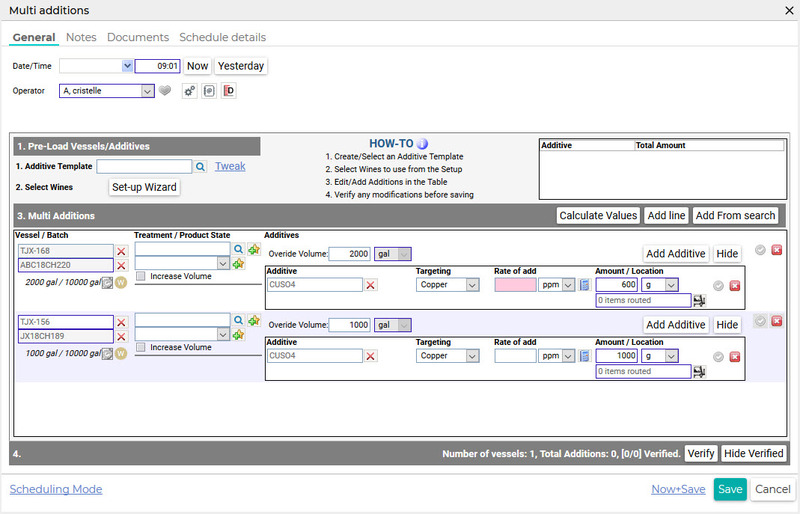 See the configuration section for more information on how to setup Item links. 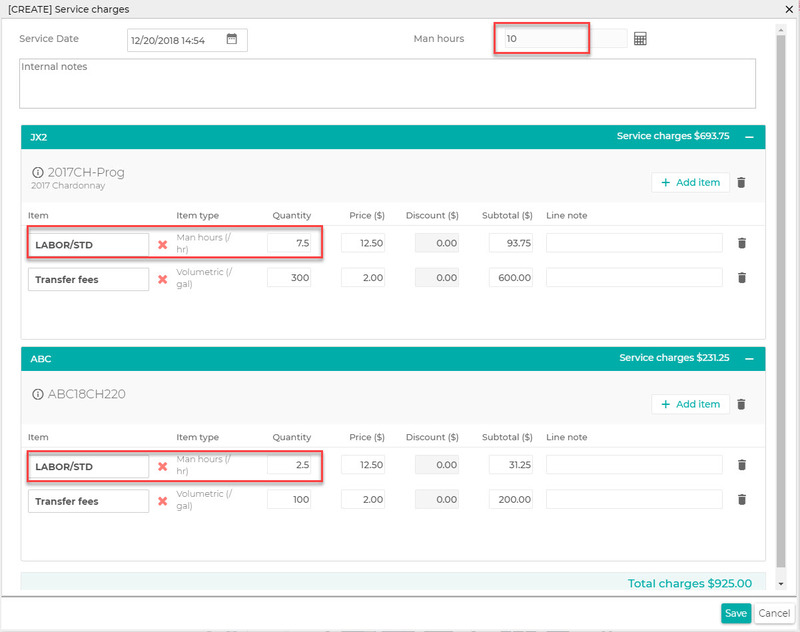 When you complete an operation that is linked to a Billing Item and the batch involved has a service order set on it, the Service charges screen will be shown. This has the Service Date populated for you. You are free to add your own arbitrary Notes. It will carry across any Units, Volume, Barrel count or Pallets from the winery operation just saved. These are then used as multipliers depending on your Charge item type. In the below example we have a flat charge for running an alcohol panel of $15. If this item or service is to be discounted; for example, the standard labor charge may be $15, but for this client you’re going to discount the labor charge. Enter the discounted value in the Subtotal field and the Discount is automatically calculated for you. 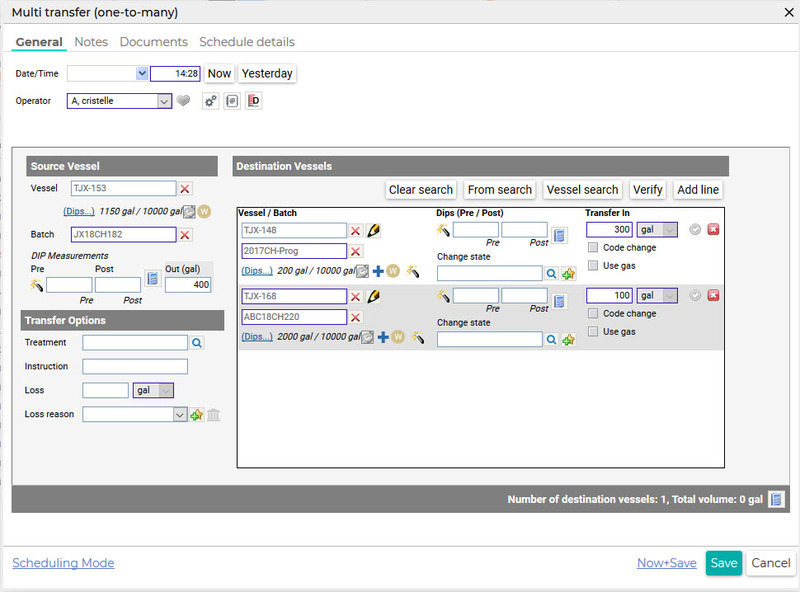 In the previous example, the price for alcohol panel is $15 and since it’s a fixed item type, the Quantity of 1 is set. Clear the Subtotal and enter a discounted price of $12. The Discount is calculated after you enter the Subtotal value. If all charges are acceptable you can simply click on Save. Or you may adjust the charges, add new ones or put in more detailed notes into the Line note field. The Line notes will be printed in the invoice later on when you generate the invoice for the charges. 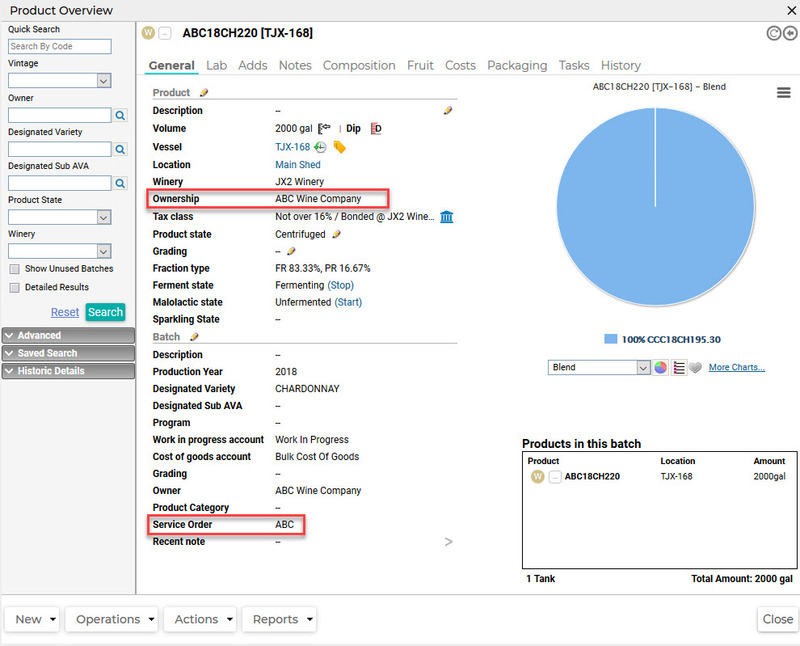 In the example multi addition operation below, additions are made to wines with different owners. The first wine on the additions operation only has a single owner. All charges will be billed against the service order on the batch. The second wine has multiple owners East Side Winery 40%, and JX2 Winery 60%. The charges will be split among the owners according to the percentage they own. Note: Make sure that all the owners of wine have a Default Service Order selected in Address book > Owner role > Edit. After saving the winery operation, the Service charges dialog is shown. The quantity of the charges for the wine with multi ownership is split according to the percentage that the owner owns. The total quantity for CUSO4 additive consumed in the operation is 1000g and JX2 Winery owns 60% of the wine so 600g is charged to their service order while the remaining 400g is charged to the other owner, East Side Winery who owns 40%. The other wine that is involved in the operation is owned by only one owner so 100% of the quantity 500g is charged against ABC Wine Company’s service order. On transfer operations, the service order of the owner of the destination wine gets charged for the billing items. In the case where the destination wine has multiple owners, then the charges will be split among the owners according to the percentage they own. But in the scenario where the source wine has multiple owners and ownership is specified on the transfer, then the owner selected on the transfer is charged with the billing item. In the one to many transfer operation below, there are 2 batches on the destination side. 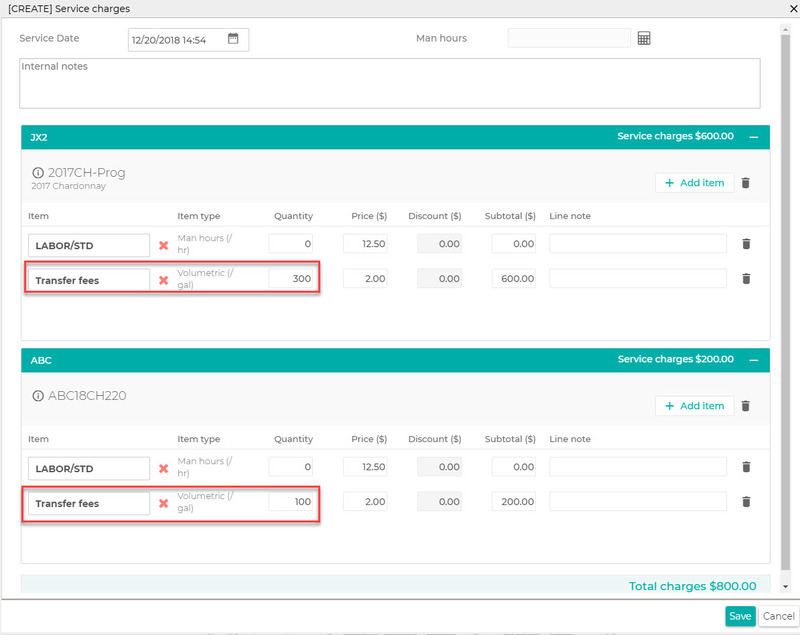 In the Service charges screen, the billing items are charged per destination batch per service order on the volume that was transferred. If billing for labour or time, use the Man hours field to enter the number of hours worked when completing winery work orders. Billing for man hours on an operation that involves multiple batches, the man hours is split according to the portion of the quantity charged per batch and per service order against the total charge type quantity of the operation. In the below example of one to many transfer where there are two batches charged for the transfer with a total of 400 gal of transferred wine. 2017CH-Prog batch is charged with 300 gal and ABC18CH220 batch is charged with 100 gal. 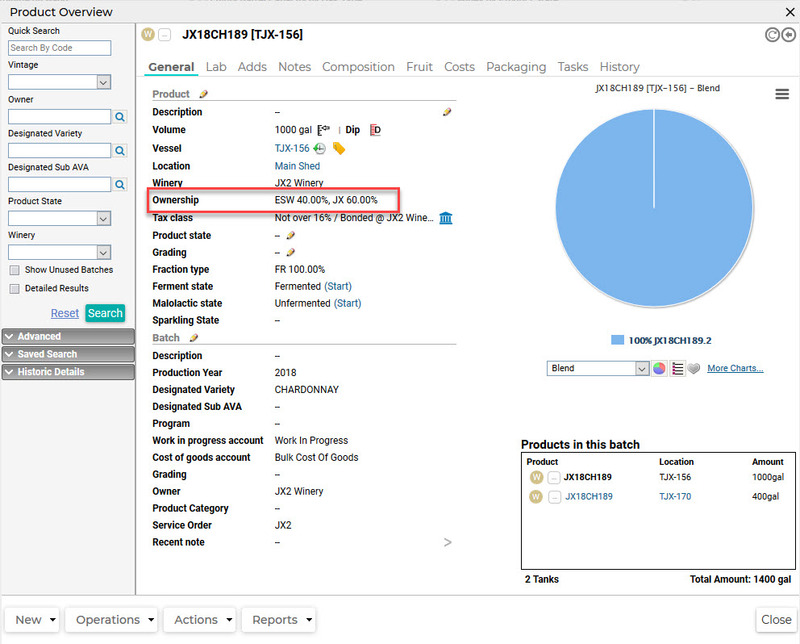 Man hours total is 10 and clicking on the calculator icon calculates the man hours on the LABOR/STD billing items per batch. Calculation for LABOR/STD billing item for 2017CH-Prog batch is (300gal/400gal)*10hrs = 7.5hrs. 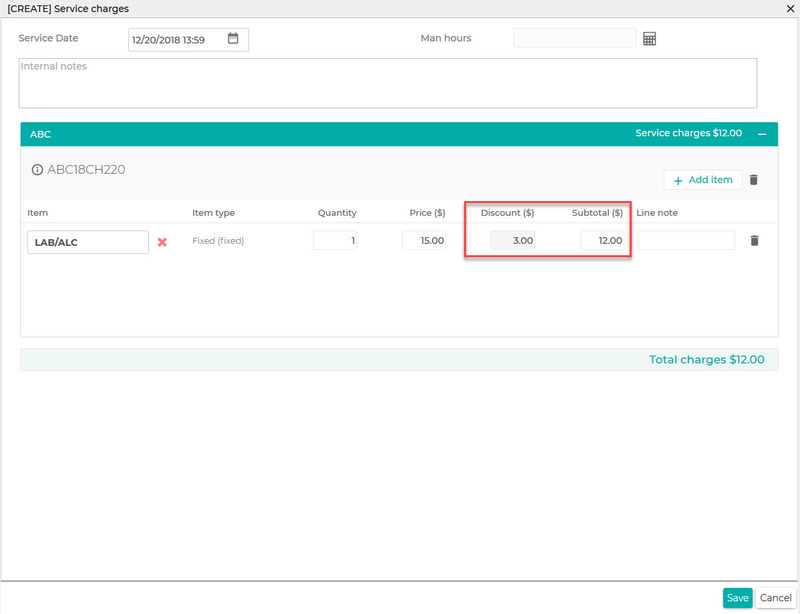 After you have generated your charges, you can now create invoices for them. Click here for more details on how generate invoices for your charges.